Dal 25 May 2018 la norma Europea sulla Privacy ha segnato un grande cambiamento nella gestione dei dati personali e nell’approccio al diritto alla privacy. Alla luce di detti cambiamenti Imaf Racing Seats s.r.l. , al fine di rendere sempre più trasparente il rapporto con gli utenti del proprio sito, ha deciso di scrivere nel presente documento la nostra politica sulla privacy in modo da fornire tutte le informazioni necessarie per valutare come raccogliamo, we manage and store personal data collected online,,it,Our goal is to provide all the information necessary to make navigation within the site transparent and secure,,it,It's important,,it,then,,it,carefully read the contents of this document and in case of non-sharing we advise not to continue browsing,,it,CAUTION,,it,I servizi erogati da Imaf Racing Seats s.r.l,,en,can only be purchased by the registered user,,it,The user,,it. 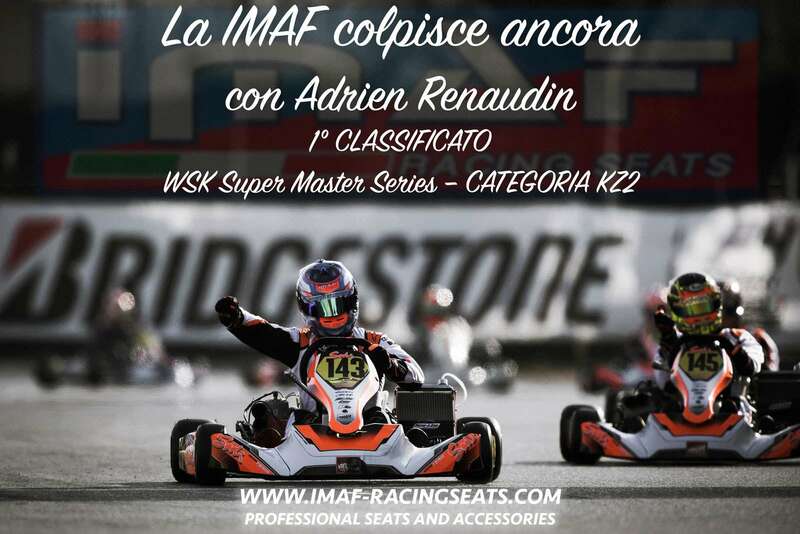 I servizi erogati da Imaf Racing Seats s.r.l. possono essere acquistati solo dall’utente registrato. L’utente, during registration and during the purchase of the services is committed to communicate their personal data in a correct and updated,,it,In the event that the user purchases the services on behalf of third parties,,it,he / she is the independent owner of personal data of third parties,,it,In this case the User assumes all the obligations and responsibilities of the law,,it,Therefore,,it,the user undertakes to supply Imaf Racing Seats s.r.l,,it,wide indemnity with respect to any dispute,,it,claim,,it. The owner has appointed himself DPO and has the qualities to fill this role,,it,For any information regarding the processing of personal data,,it,the DPO can be contacted by writing to,,it,dpo@Imaf-racingseats.com,,en,TYPE OF PERSONAL DATA COLLECTED,,it,Personal data collected through the site does not have the nature of particular data,,it,as defined by art.9 of the GDPR,,it,but they are only suitable for identifying the User,,it,eg name surname tax code residence telephone e-mail,,it. 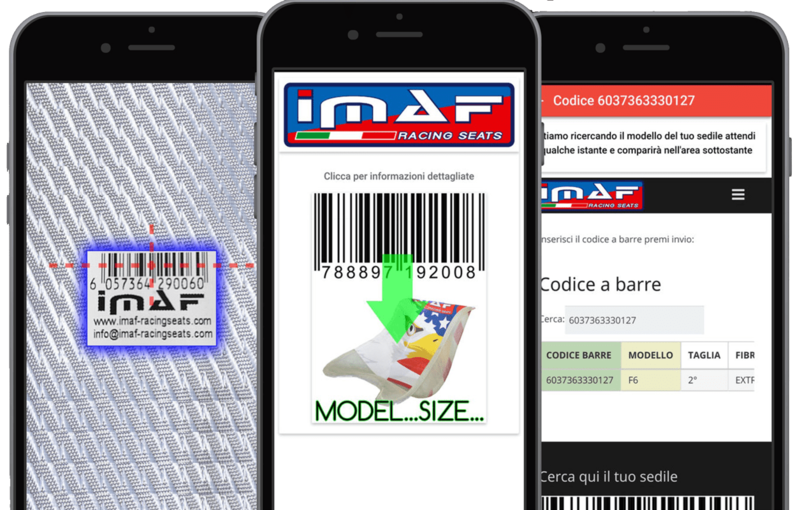 •	Dati di Navigazione: informazioni registrate dai sistemi informatici di Imaf Racing Seats s.r.l. durante la normale attività di fornitura dei propri servizi. In questa categoria di dati sono ricompresi ad esempio tutte le informazioni relative ai protocolli di comunicazione di internet, gli indirzzi IP ed i log di accesso ai sistemi informatici di Imaf Racing Seats s.r.l. .
•	Dati forniti volontariamente dell’Utente: The user voluntarily communicates his personal data during the registration or purchase process of the services after completing the procedure,,it,• Third party data provided voluntarily by the User,,it,The user could purchase the services of Imaf Racing Seats s.r.l,,it,on behalf of third parties who do not have a direct relationship with Imaf Racing Seats s.r.l,,it,• Registration data of a domain name,,it,within the domain name registration service Imaf Racing Seats s.r.l,,it. •	Dati di terzi forniti volontariamente dall’Utente: L’utente potrebbe acquistare i servizi di Imaf Racing Seats s.r.l. per conto di terzi soggetti che non hanno un rapporto diretto con Imaf Racing Seats s.r.l. .
•	Dati di registrazione di un nome a dominio: nell’ambito del servizio di registrazione dei nomi a dominio Imaf Racing Seats s.r.l. collects the personal data of the owner of the domains,,it,The data collected in the context of the request for registration of the domain name,,it,• Traffic data,,it,as part of the provision of the e-mail service any data submitted for processing for the purpose of transmitting a communication including the data necessary to identify the user,,it,These information are those specified in the Legislative Decree,,it,n,,en,For example,,it. I dati raccolti nell’ambito della richiesta di registrazione del nome a dominio. •	Dati di traffico: nell’ambito dell’erogazione del servizio di posta elettronica qualsiasi dato sottoposto a trattamento ai fini della trasmissione di una comunicazione ivi compresi i dati necessari per identificare l&#8217;utente. •	data e ora (GMT) della connessione e della disconnessione dell&#8217;utente del servizio di posta elettronica su internet ed indirizzo IP utilizzato, regardless of the technology and the protocol used,,it,PURPOSE OF THE TREATMENT,,it,Personal data collected on the website are processed by Imaf Racing Seats s.r.l,,it,for the following purposes,,it,• manage the registration procedure and access to the reserved area,,it,•	operation management,,it,technical and administrative services purchased by the User,,it,• respond to requests for assistance or information,,it,sent via the communication channels established by Imaf Racing Seats s.r.l,,it,• comply with legal obligations,,it. •	rispondere a richieste di assistenza o di informazioni, inviati tramite i canali di comunicazione stabiliti da Imaf Racing Seats s.r.l. .
•	Perseguimento del legittimo interesse del titolare del trattamento. I dati personali vengono conservati per tutta la durata del rapporto contrattuale e , nel caso di revoca e/o altro tipo di cessazione del predetto rapporto, nei termini stabiliti dalla legge per l’adempimento ad esempio degli obblighi civili e fiscali. 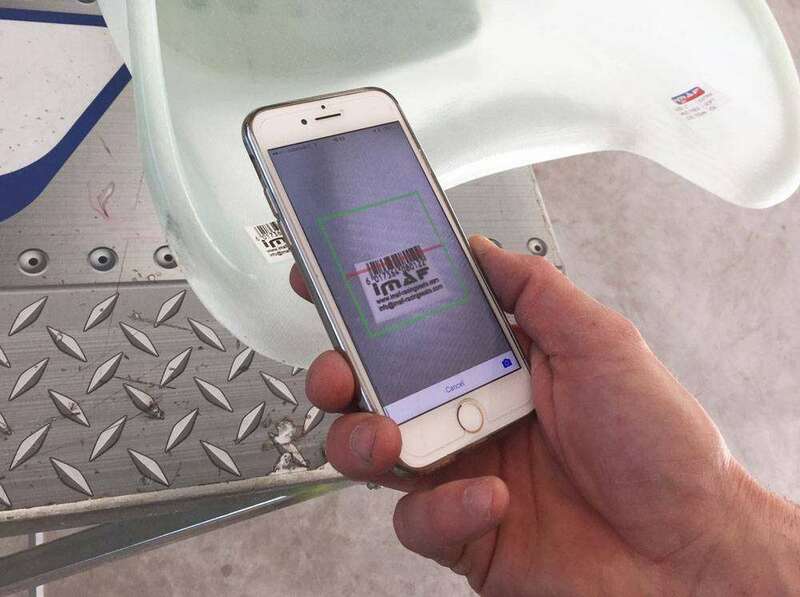 For the marketing purposes the data will be kept until consent is revoked or for the period established by the regulations or by the Measures issued by the Control Authority,,it,With reference to the investigation and prosecution of the offenses, personal data relating to traffic are stored by Imaf Racing Seats s.r.l,,it,for six years from their generation,,it,The data are also processed by Imaf Racing Seats s.r.l,,it,for ordinary business processes related to the provision of the service,,it,is.,,es. Con riferimento ad accertamento e repressione dei reati i dati personali relativi al traffico sono conservati da Imaf Racing Seats s.r.l. per sei anni dalla loro generazione. I dati sono inoltre trattati da Imaf Racing Seats s.r.l. per ordinarie elaborazioni aziendali legate alla fornitura del servizio (es. : for documentation purposes in case of disputing the invoice or claim for payment,,it,for fraud detection,,it,to perform analyzes on behalf of clients,,it,by virtue of the provisions of the law,,it,In this case,,it,the data is stored,,it,with stringent security measures applied according to law,,it,and subsequently deleted,,it,TRANSFERS OF PERSONAL DATA,,it,Within the domain name registration services Imaf Racing Seats s.r.l,,it, per accertamento di frodi, per eseguire analisi per conto dei clienti), in virtù di quanto previsto dalla normativa. In questo caso, i dati sono conservati, con stringenti misure di sicurezza applicate a norma di legge, e successivamente cancellati. Nell&#8217;ambito dei servizi di registrazione dei nomi a dominio Imaf Racing Seats s.r.l. may transmit personal data of applicants for registration to Partner subjects,,it,accredited for the registration of domain names for which Imaf Racing Seats s.r.l,,it,does not perform the accredited Registrar function,,it,In these cases,,it,in consideration that the transfer of data is necessary for the provision of the service of registration and transfer of domain names and in compliance with the provisions of the article,,it,comma let,,en, accreditati per la registrazione di nomi a dominio per i quali Imaf Racing Seats s.r.l. non svolga la funzione di Registrar accreditato. In questi casi, in considerazione che il trasferimento dei dati è necessario per l’erogazione del servizio di registrazione e trasferimento dei nomi a dominio e nel rispetto di quanto disposto dall’articolo 49, 1 comma let. b), data transfer may also take place outside the European Economic Area,,it,COMMUNICATION AND DIFFUSION OF DATA,,it,Your Personal Data may be shared,,it,for the purposes specified above with,,it,professional offices providing assistance and advice on accounting matters,,it,administrative,,it,legal,,it,tributary,,es,financial,,it,Subjects with whom it is necessary to interact for the provision of the Services,,it,Registration authority,,it,transfer and maintenance of domain names,,it. 2. Partner accreditati per la registrazione di nomi a dominio per i quali Imaf Racing Seats s.r.l. non svolga la funzione di Registrar accreditato. 3. Authorities that manage the WHOIS database that contains the personal data of the assignees of domain names,,it,Subjects that provide the payment service by credit card,,it,Paypal etc.,,en,or other services instrumental to those provided by Imaf Racing Seats s.r.l,,it,Subjects delegated to carry out technical maintenance activities,,it,Judicial authorities for the purpose of repression and assessment,,it,CONSERVATION PLACE,,it,The hardware infrastructure used by Imaf Racing Seats s.r.l,,it. 4. Soggetti che forniscono il servizio di pagamento tramite carta di credito, (Paypal etc.) o altri servizi strumentali a quelli erogati da Imaf Racing Seats s.r.l. .
5. Soggetti delegati a svolgere attività di manutenzione tecnica. 6. Autorità giudiziaria per finalità di repressione e accertamento. L’infrastruttura hardware utilizzata da Imaf Racing Seats s.r.l. to provide its services, it is positioned in an ISO-certified data center in Italy,,it,and therefore guarantee maximum security,,it,USER RIGHTS,,it,In implementing the principle of transparency, the user can request all information regarding the processing of his personal data and exercise the rights recognized by the GDPR and specified in the articles,,it,–,,en,In particular, he can request,,it,• access to your Personal Data,,it 27001 e che quindi garantiscono la massima sicurezza. •	la limitazione del trattamento nei casi previsti dall&#8217;art. 18 del Regolamento, nonché di ottenere in un formato strutturato, di uso comune e leggibile da dispositivo automatico i dati che la riguardano (portabilità), nei casi previsti dall&#8217;art. 20 del Regolamento. IMAF Racing Seats è il Titolare del trattamento dei dati personali raccolti su questo sito ai sensi e per gli effetti del Codice della Privacy. Conformemente all’impegno e alla cura che IMAF Racing Seats dedica alla tutela dei dati personali, La informiamo sulle modalità, finalità e ambito di comunicazione e diffusione dei Suoi dati personali e sui Suoi diritti, in conformità all’art. 13 del D. Lgs. 196/2003. Per offrirLe i servizi personalizzati previsti dai propri siti internet IMAF Racing Seats, in qualità di Titolare del trattamento, deve trattare alcuni dati identificativi necessari per l’ erogazione dei servizi. This data may be used by the Data Controller for the sole purpose of obtaining anonymous statistical information on the use of the site in order to identify the pages preferred by users and thus provide increasingly appropriate content and to check its correct functioning,,it,At various points on this site you have the possibility to send us personal data,,it. Su richiesta dell’Autorità, i dati potrebbero essere utilizzati per l’accertamento di responsabilità in caso di ipotetici reati informatici ai danni del sito o dei suoi utenti. The personal data that you provide will be recorded and stored on protected electronic media and processed with appropriate security measures also by associating them and integrating them with other DataBase,,it,to companies that perform tasks of a technical or organizational nature on behalf of IMAF Racing Seats for the provision of the requested services,,it,Communications for market surveys or commercial information on products and promotional initiatives can be made by postal mailing,,it. I dati da Lei forniti saranno trattati da IMAF Racing Seats esclusivamente con modalità e procedure necessarie per fornirLe i servizi da Lei richiesti. I dati non saranno diffusi ma potranno essere comunicati, ove necessario per l’erogazione del servizio, a società che svolgono per conto di IMAF Racing Seats compiti di natura tecnica od organizzativa strumentali alla fornitura dei servizi richiesti. Solo con il Suo espresso consenso i dati potranno essere utilizzati per effettuare analisi statistiche, indagini di mercato e invio di informazioni commerciali sui prodotti e sulle iniziative promozionali di IMAF Racing Seats e/o di società terze. Sempre con il Suo consenso i dati potranno essere utilizzati per finalità di profilazione che potrà essere effettuata mediante a) trattamento, in modalità automatizzata, dei dati personali degli utenti autenticati in relazione all’utilizzo del servizio per l’inoltro e la ricezione di messaggi di posta elettronica; b) crossing of personal data collected in relation to the supply and its use of different functionalities among those made available by the user,,it,long consumption,,es,In accordance with current legislation we will therefore ask you to give consent for data processing by ticking the "Accept" box in the appropriate registration form,,it,where you intend to request / use other services provided by the same company or different companies as indicated above,,it; c) utilizzo di altri identificatori necessari per ricondurre a soggetti determinati, identificati o identificabili, specifiche azioni o schemi comportamentali ricorrenti nell’uso delle funzionalità offerte. Successivamente alla registrazione necessaria per il Servizio richiesto, ove Lei intenda richiedere/usufruire di altri Servizi erogati dalla stessa società o da società diverse come sopra indicate (IMAF Racing Seats o società da queste controllate o collegate) Lei potrà utilizzare le credenziali (nome utente/ mail/ password) già utilizzate per la prima registrazione. Questi cookie ci permettono di sapere in che modo i visitatori utilizzano il sito, per poterne così valutare e migliorare il funzionamento e privilegiare la produzione di contenuti che meglio incontrano i bisogni informativi dei nostri utenti. Ad esempio, consentono di sapere quali sono le pagine più e meno frequentate. Tengono conto, tra le altre cose, del numero di visitatori, del tempo trascorso sul sito dalla media degli utenti e delle modalità di arrivo di questi. In questo modo, we can know what works well and what to improve,,it,You will find them listed among the third-party cookies for which you can refuse consent,,it,They are inserted by IMAF Racing Seats through technical platforms partners of our advertising circuit and contribute to our investment in Web sites,,it,The cookies actually set can change at any moment due to the technical strategies of advertisers and their technical representatives,,it, oltre ad assicurarci che le pagine si carichino velocemente e siano visualizzate correttamente. Tutte le informazioni raccolte da questi cookie sono anonime e non collegate ai dati personali dell’utente. Per eseguire queste funzioni nei nostri siti utilizziamo i servizi di terze parti che anonimizzano i dati rendendoli non riconducibili a singoli individui (cosiddetto “single-in”). Laddove siano presenti servizi non completamente anonimizzati, Lei li troverà elencati tra i cookie di terze parti per i quali è possibile negare il consenso, a garanzia della Sua privacy. Vengono inseriti da IMAF Racing Seats per mezzo di piattaforme tecniche partner del nostro circuito pubblicitario e contribuiscono al nostro investimento nei siti Web, permettendoci di finanziare adeguatamente il mantenimento dei servizi e la loro evoluzione tecnologica. Possono essere utilizzati anche per mostrare all’utente annunci pertinenti su altri siti Web visitati. In questa categoria ricadono sia cookie erogati da soggetti partner di IMAF Racing Seats e ad essa noti, sia cookie erogati da soggetti terzi non direttamente controllati o controllabili da RCS. Cookies from our partners allow us to offer advanced features,,it,as well as more information and personal features,,it,This includes the ability to share content through social networks,,it,to access the videostreaming services and the CDN networks on which we host our contents,,it, nonché maggiori informazioni e funzioni personali. Ciò include la possibilità di condividere contenuti attraverso i social network, di accedere ai servizi di videostreaming e alle reti CDN sulle quali ospitiamo i nostri contenuti. These services are mainly provided by external operators engaged or consciously integrated by IMAF Racing Seats. If you have an account or if you use the services of these parties on other websites,,it,these may be able to know that the user has visited our sites,,it, questi potrebbero essere in grado di sapere che l’utente ha visitato i nostri siti. The use of the data collected by these external operators through cookies is subject to the respective privacy policies and therefore identifies these cookies with the names of the respective subjects reported in the cookie management tool available in the appropriate section of this Information,,it,These include cookies registered by the main social networks that allow you to share the articles of our sites and to publicly express the approval for our work,,it. Tra questi si annoverano i cookie registrati dai principali social network che Le consentono di condividere gli articoli dei nostri siti e di manifestare pubblicamente il gradimento per il nostro lavoro. Cookies not coming from IMAF Racing Seats partners,,it,they are cookies conveyed without the control of IMAF Racing Seats,,it,by third parties who have the opportunity to intercept the user during his navigation even outside the RCS sites,,it,These cookies,,it,typically of profiling,,it,they are not directly controllable by RCS that can not therefore guarantee on the use that third party owners make of the information collected,,it,Cookie management,,it, sono cookie veicolati senza il controllo di IMAF Racing Seats, da soggetti terzi che hanno modo di intercettare l’utente durante la sua navigazione anche al di fuori dei siti RCS. Questi cookie, tipicamente di profilazione, non sono direttamente controllabili da RCS che non può quindi garantire in merito all’uso che i terzi titolari fanno delle informazioni raccolte. Advertising companies also allow you to opt out of receiving targeted ads,,it,if desired,,it,This does not prevent cookies from being set,,it,but it interrupts the use and collection of some data by these companies,,it,For more information and possibility of waiver,,it,visit the address www.youronlinechoices.eu/it/,,it,To simplify your choices and in compliance with current legislation,,it, se lo si desidera. Ciò non impedisce l’impostazione dei cookie, ma interrompe l’utilizzo e la raccolta di alcuni dati da parte di tali società.